We are so thankful to be surrounded with an amazing team willing to give their time, hearts, and passion for Nate and this foundation. Each team member pours greatness into this foundation in a variety of ways through their hearts, creativity, new ideas, planning, chairing committees, fundraising, volunteering, and more! Justin is a graduate of Johns Hopkins University with a MS Degree in Management and a BS Degree in Criminal Justice from West Liberty State University. He has been in employed in public safety for the past 15 years and held various positions within a local law enforcement agency. Justin and his family have been Carroll County residents since 2006 and they are deeply involved in numerous community activities. 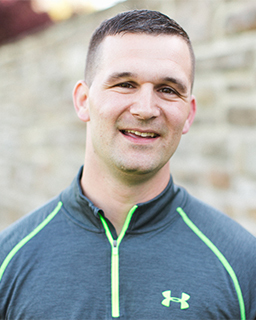 He previously coached wrestling for the Warriors Wrestling program in Eldersburg where he had a significant impact on the lives of many young athletes. Justin is Nathan’s father and a founder of the Nathan Chris Baker Foundation. He is extremely proud of the work that the foundation has done in the local community and he looks forward to expanding the reach of the foundation within the region. 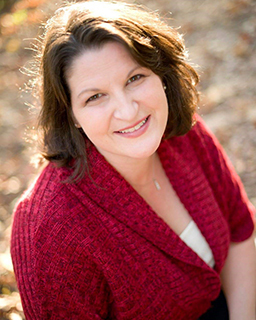 Katie graduated from North Stafford High School and has some college education in Early Childhood Development. Katie has been a stay at home mom to her children for 11 years. Since May of 2010, she has operated a licensed family home day care business in Carroll County. She loves children and is passionate about making a positive impact for their future. Katie is Nathan’s mother and a founder of the Nathan Chris Baker Foundation. She is extremely inspired by the success of the foundation in honor of Nate and is proud to be a part of such an amazing community. 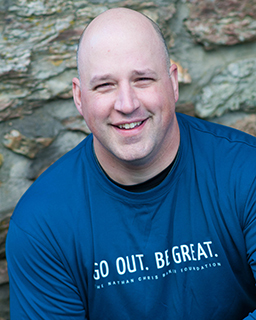 Chad has served on the Nathan Chris Baker Foundation Board of Directors since inception and has helped lead the foundation in the execution of their mission, defining their strategic direction, and guiding the support they provide to the community. He is currently an Assistance Vice President for Sales Enablement at a local asset management firm, and has spent over 25 years in management roles at the Department of Defense and UPS. He served as President on his local Home Owners Association Board for 6 years where he helped establish their architectural rules, assume financial responsibilities from the property management company and set the fundamental rules of business. Chad holds a certificate in Business Management from Anne Arundel Community College and enjoys spending time with his wife and two kids at the beach. He continues to coach several youth sports in his home town of Sykesville, Maryland where his family has resided for the past 20 years. Jason has an MS Degree in Management from Johns Hopkins University and a BA Degree in Criminal Justice from the University of Hartford. He has served in various positions within law enforcement for the last 20 years and is the co-owner of a retail business in Eldersburg that he created with his wife, Danelle, in 2013. He has served on government, union and non-profit boards, holding a variety of positions. During that time he has managed multiple successful fundraisers and effectively negotiated several labor contracts. 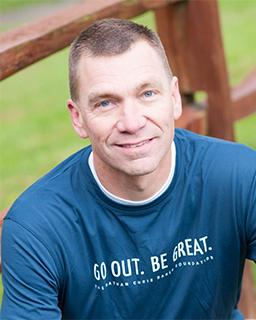 He has been involved in coaching sports with his two sons for many years and is proud to serve the community through the Nathan Chris Baker Foundation. Nick has a MS Degree in Curriculum and Instruction from McDaniel College and a BS Degree in Early Childhood/Elementary Education from Frostburg State University. He has served the community through a variety of positions in education over the past 18 years. Nick has been a teacher, coach, and principal. He is currently the Director of Special Education for Carroll County Public Schools. Nick is proud to support others through the Nathan Chris Baker Foundation. 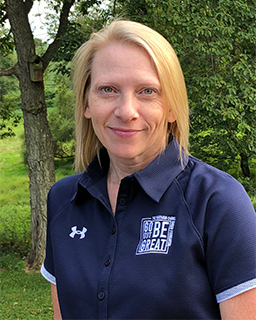 Lisa earned her Master’s Degree in Special Education from McDaniel College and her Bachelor’s Degree in Therapeutic Recreation from Frostburg State University. She is the co-owner of Bay Winds Travel Agency and is also employed by the Howard County Public School System as a Special Education Career Skills Teacher. She enjoys traveling with her family and supporting the community through the Days of Greatness committee. Lisa strives to support the diverse needs of others in our community. 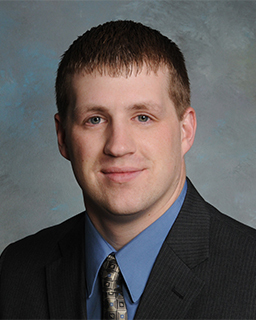 Chris is a graduate of James Madison University with a bachelor’s degree in Accounting. He spent several years in public accounting where he compiled, reviewed, and audited financial statements of entities from various industries, including non-profit 501(c)3 companies . He is currently the Director of Finance & Accounting for Stafford County Public Schools in Stafford, Virginia. Chris is a Certified Public Accountant (Virginia) recognized in Maryland and a Certified Fraud Examiner. 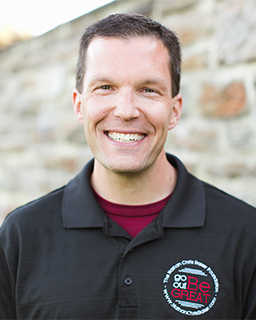 Chris has also served as a treasurer for other non-profit organizations in the Fredericksburg region. In his personal time, he enjoys spending time with his wife and three children and coaching two youth soccer teams. Colleen has an MS from the College of Saint Rose and a BS from the State University of New York at Geneseo. She was previously employed as a teacher and reading specialist in the Baltimore County Public School system for 10 years. She is currently employed at A La Mode Boutique in Sykesville, Maryland. Colleen is actively involved in numerous school related activities and sports teams involving her two children. She is a founding member of NCBF’s Days of Greatness which provides families in need an opportunity to put their troubles aside and enjoy some special time with family. 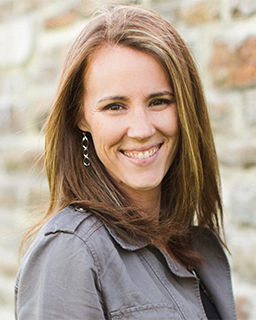 Kristi is a wife, mom, business owner and community advocate. She and her husband Jason are the parents of 3 very active boys which allows her plenty of opportunities to volunteer both in the schools and at various sporting venues. 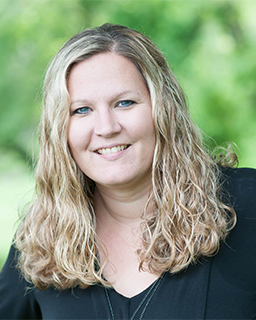 Kristi graduated with a Masters in Business Administration from Loyola University while working as a Project Manager at Verizon. 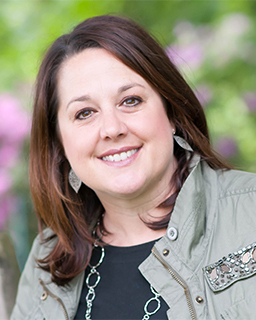 In 2011, she left Verizon to open Hoppers KidZone, Inc. Kristi constructed her business model to focus on working within the community and giving back to local families and kids. Brenda graduated from Mansfield University of Pennsylvania with a BA degree in Criminal Justice Administration. She has been employed in public safety for the last 24 years, holding a variety of positions throughout her career. She has served on government and union boards, as well as several non-profit committees. She is always willing to lend a helping hand and is proud to support the community through the Nathan Chris Baker Foundation.